2mm wide x 33mm long tip. Round handle. 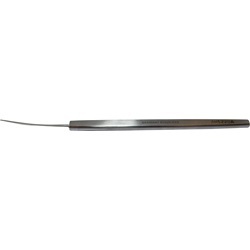 Overall length: 136mm. 1mm wide x 30mm long tip. Flat handle. Overall length: 130mm.